It’d be pretty easy to wonder why Honda would want to come back to Formula One. Their most recent run in the sport ended in a fairly disastrous venture into the world of highlighting environmentalism and poor performances despite a stellar line up and plenty of experience in the team, and it’d be just rude to simply ignore the green trousers that came with the outfit. They’ve had a failed attempt to come back into the sport previously and their history suggests a lack of consistency in their desire to stay in F1. This all said and all the green trousers aside, Formula 1 has missed Honda and I’ll be happy to see them back in a sport they very much deserve to be part of. Of course recent memories of Honda’s life in F1 shouldn’t discredit them whatsoever from the important history they have in the sport. Honda first entered the hallowed ground of the paddock back in 1964 and went on to produce the first Japanese built car to win in F1. It was still early days for Honda but, despite early success, the death of Jo Schlesser in one of their cars led them to pull out of F1 as a works team. Whilst their initial stint into the sport was only a brief one, it was their triumphant role as an engine supplier from the mid-80s that they hold so much credit for. Honda provided the engines for several teams during that time. 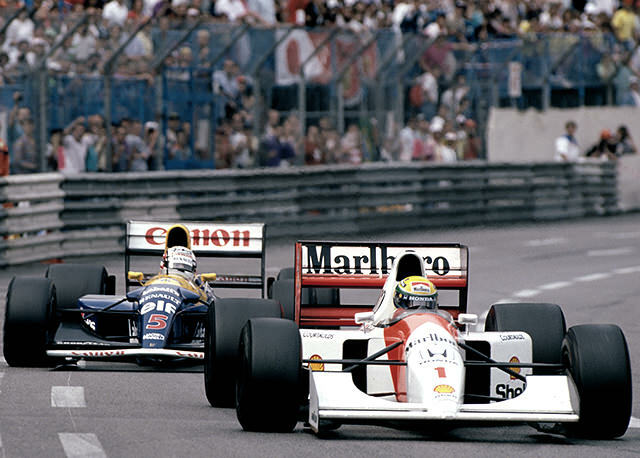 They were considered reliable and powerful in one handy package but it was of course the famous McLaren-Honda partnership that proved so fruitful, with several iconic cars being driven by Alain Prost and Ayrton Senna held so dearly to this day. Honda’s golden era in providing engines in the sport was anti-climactic as they reduced their coverage with Jordan, instead working with Mugen Motorsports to provide Honda-Mugen engines. However, continued investment into the British American Racing team saw them come back as a fully-fledged works team in 2006 with the dream team that were Rubens Barrichello and Jenson Button. Unfortunately, despite initial glimpses in that first year, we all know how the most recent Honda project turned out. Whilst it provided the amazing team that was Brawn GP, it left a blemish on the face of Honda for the way they abruptly left the sport. It’s time to forgive though and look to the future. This brief overview of Honda’s history in Formula One tells us a number of things about Honda’s attitude to the sport. It’s clear there is a considerable amount of interest within Honda for Formula One and that F1 means a lot to one of the more well-known car companies in the world. Whilst they have had small stints as a works team, their success has always truly sat with the provisions of their engines to big teams. McLaren would be the first to admit that their most famous era was that of the McLaren-Honda with Prost and Senna battling it out. As far as I’m concerned part of that wouldn’t have been possible without the strong engines being provided from Honda. Manufacturers come and go in F1, as has been so evident in the past decade, but there is a special kind of attraction with Honda. That’s part of why I’m excited for their return in 2015. Honda’s comeback sees their role as an engine supplier rather than returning as a works team, with the announcement confirming that McLaren would be dropping their long standing deal with Mercedes-Benz in favour of Honda. The attachments to this news are kind of incredible; there will be a sense of revitalisation with new engines for the team, there’ll be plenty of hunger from Honda to emulate their previous success and there’s a huge amount of emotional attachment with their history together and the cars produced under their run. Of course, as is always the case with a team like McLaren, the pressure attached to succeed will be considerable too. 2013 has been an incredibly frustrating season for McLaren. They’ve struggled with a car that has just seemed unwilling to improve, with tyres that don’t seem to be suiting their drivers at all and theyhave had to fight off critics at their door at pretty much every race. Whilst there is always a ‘now’ in Formula 1, you have to wonder if they’re already looking to 2015 and wanting to reach this new chapter for the team as soon as possible. Mercedes-Benz have brought plenty of success to the Woking outfit yet their focus is now ultimately going to be on their own team. They have a professional relationship to maintain with McLaren but it would be stupid to write off how much they’re looking at themselves just as much as McLaren will be looking to 2015. Emotionally there will be a lot to prove once the engines come in too. Long term McLaren fans, and long term F1 fans at that, will be looking at the new combination with a watchful eye expecting success like they had in the late 80’s and early 90’s.